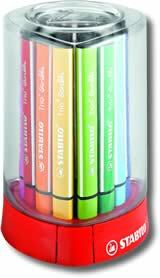 If you have kids these may just be the only colouring pens you ever need. The Stabilo Trio Scribbi pens have an extra strong nib which is spring loaded, so no matter how many times the point is bashed onto a surface it remains straight and usable. The larger triangular barrel is excellent for for smaller hands to grip with comfort and the nib gives a strong, thick line width in a variety of bold colours. Of course, as all parents are aware, bold colours combined with little hands usually means not just the paper being covered. 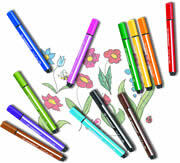 Handily the Scribbi pens are totally washable meaning they will come off hands, faces, and clothes with ease! Virtually Indestructible thanks to the spring loaded nib, felt pens with the nibs pressed flat into the barrel are a thing of the past! 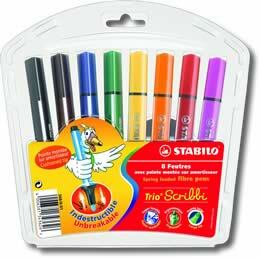 The full range of Stabilo Trio Scribbi Pens available individually.